I have been a lifelong health and fitness enthusiast. Combining that passion with my natural teaching ability, I obtained my personal training certification through the National Council on Strength and Fitness (NCSF). Before I made the jump to be a full-time personal trainer, I spent eighteen years as a preschool and Kindergarten teacher. Because of my passion for health and fitness, I witnessed how important a healthy lifestyle is for a child’s success in school and decided to write my Master’s thesis on the topic and incorporate it into my curriculum. As a teacher, I learned the importance of patience, listening, and compassion. I feel these qualities are very important when it comes to being a great personal trainer as well. I was lucky enough to train part time while I was teaching and found more similarities than differences in the learning processes of children and adults. We have a lot to learn from kids! Now that I have become a full-time personal trainer, I train and coach private clients to follow their own passions for health and whole-body wellness. My greatest joy is to be an inspiring and positive motivator in an area of people’s lives where they may not be able to motivate themselves. 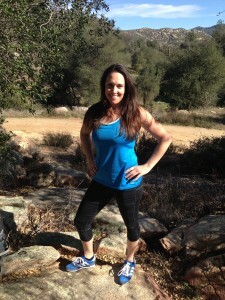 I also live a very active lifestyle and enjoy hiking, running, lifting weights, interval training, and circuit training. I ran the Rock ‘N’ Roll Marathon twice and 10+ half marathons. I also enjoy cooking, spending time with friends and family, reading, and going to the movies.